Thursday and Friday, 2-3 March 2017, 9:30 a.m.
India faces serious challenges in creating development processes that generate economic growth while being socially inclusive, ecologically sustainable, politically feasible, and in accordance with the Rule of Law. Equitable and efficient acquisition of land by the state for economic development projects, including infrastructure and industry, lies at the heart of these challenges. Simultaneously, securing constitutionally guaranteed land rights to the poorest and most vulnerable communities in India, especially the Scheduled Tribes, against the state and other dominant communities, has been considered crucial to their economic and social empowerment. Land is not only an important economic resource and source of livelihoods, it is also central to community identity, history and culture. 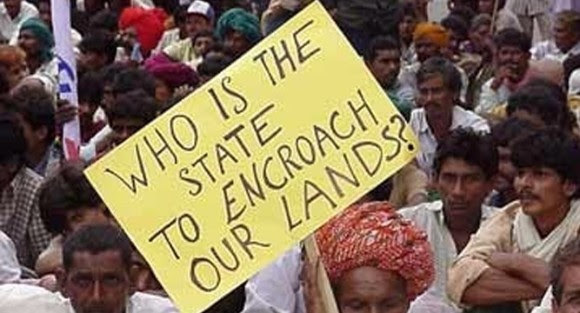 Unsurprisingly then, throughout India, dispute over state acquisition of land that deprives people of their land rights spans various dimensions of economic, social, and political life. How do we mitigate this conflict? The conference will feature the launch of the CPR Land Rights Initiative report on “Land Acquisition in India: A Review of Supreme Court cases from 1950-2016”, that attempts some preliminary answers to this question. Despite its persistent and polarising nature, the debate on land acquisition has been marked by a lack of systematic and comprehensive data in support of particular positions. Existing studies on land acquisition have tended to focus on particular issues, like compensation, or on particular conflicts, or have been otherwise limited in terms of geography and time. The CPR Land Rights Initiative Report is the first comprehensive country wide study of land acquisition disputes before the Supreme Court since India’s independence. The Report analyses these disputes along various metrics, such as public purpose, procedure for acquisition, compensation, pendency of claims, and tracks trends with respect to distribution of disputes across geography and time, and central and state laws. The Report findings will be discussed and debated by stakeholder representatives, including the government, lawyers, international development agencies, and civil society groups, as well as expert researchers from the fields of economics, sociology and political science, and law. Our previous seminar showcasing the first phase of this research can be accessed here. The conference will also feature findings from an ongoing CPR and CMI research collaboration on “Land Rights and Inclusive Development in the Scheduled Areas”, that will describe the political economy of land rights in areas governed by the Fifth and Sixth Schedules of the Constitution, with particular focus on the states of Gujarat, Andhra Pradesh, Telangana and Meghalaya. Representatives of community groups and civil society organisations will comment on these findings and highlight challenges, both individual and representative, faced by tribal populations in these four states. A detailed agenda of the conference will be updated here. Please register at this link.